Go back to any point in your conference call with transcription software available for free with every FreeConferenceCall.com account. Can’t Remember Every Detail? That’s OK! We can help! Record any conference and then easily access Conference Keywords℠, powered by Voicebase, to go back to what you missed. Once you sign up for a FreeConferenceCall.com account, you can record any meeting. 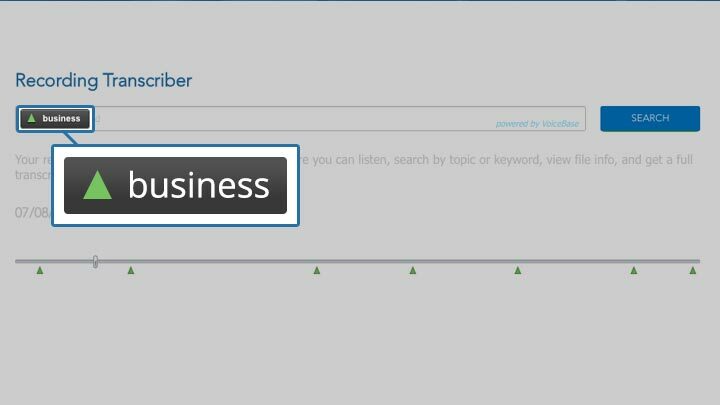 When it’s over, just go to the History & Recordings page, find your meeting and click the Keywords icon under Recording Options. 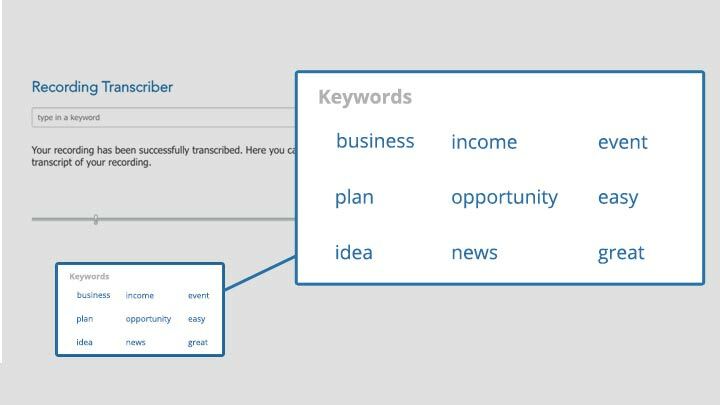 Conference Keywords lets you search the recorded file for keywords, view a list of transcribed keywords and listen to the point in your meeting when they were spoken. The service uses voice-to-text software to generate written transcriptions, which can be ordered at any time. Conference Keywords makes it easy to recall the most important topics covered in your recorded conference calls. Navigate through a recording using a list of transcribed keywords. Simply search or select a keyword from the list to see how many times and where it was used during the recording. No more listening to the entire conference call recording just to find one thing. Use the transcription service to get the answers you need, when you need them.